If you keep up with our posts, you’ve probably noticed that gardening in urban spaces can require a bit of resourcefulness: work with whatcha got. In a boring space adding color can dramatically change existing walls (and boxes, containers, decks, etc) fast. And luckily paint is pretty cheap and easy to deal with. Paying attention to the visual realm of color choice can make the difference between a pretty garden and an insanely gorgeous, fun, and impressive outdoor sanctuary. 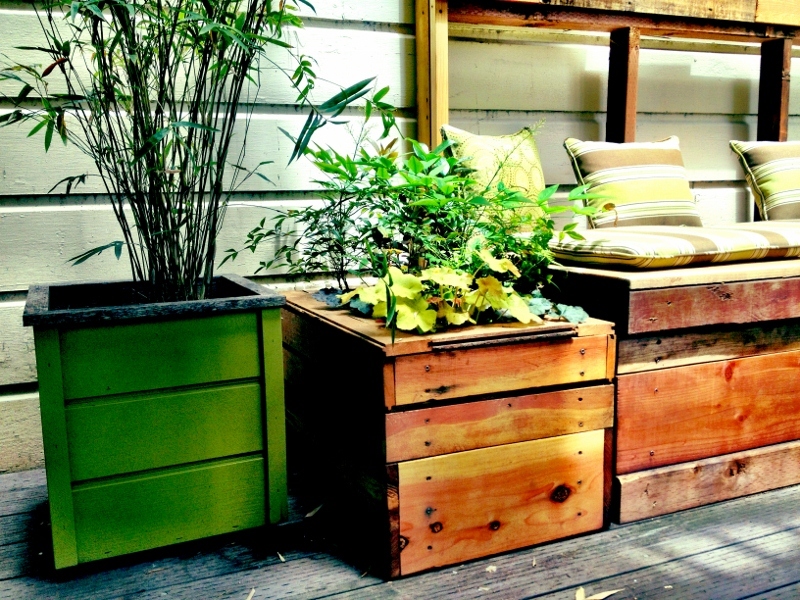 Though giving this planter box a coat of spring green certainly matches the bamboo nicely, it’s bigger value is in the contrast with the adjacent box and bench (made from reclaimed wood). The solid, bright hue sets off the natural beauty of the wood grain. 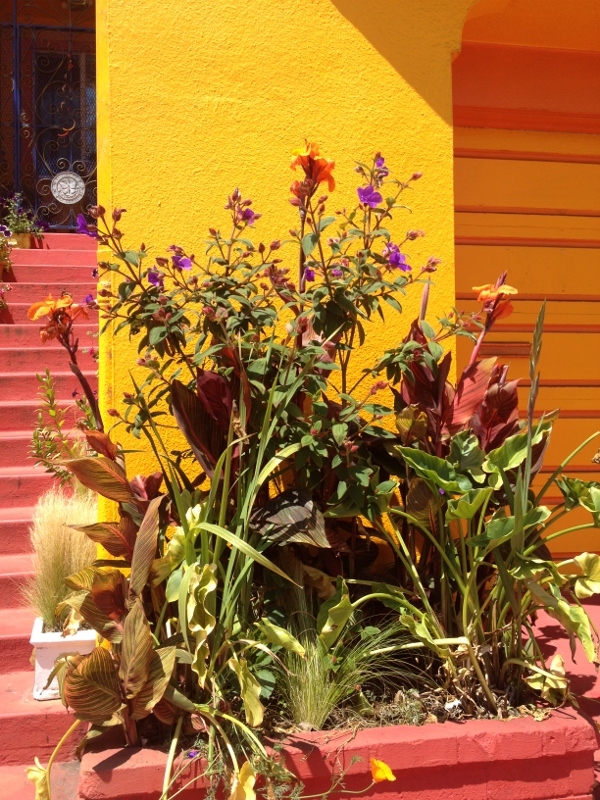 This tiny spot near San Francisco City College was so eye-catching we had to brake to a halt and reverse the Small Spot Gardens truck to capture it. The royal purple of the princess bush blossoms contrast perfectly with the bold gold and tangerine colors of the building (remember that color wheel from junior high art class?). The variegated, broad leaves of the Cana and the California poppies tumbling over the dusty red wall are a nice touch, as well. 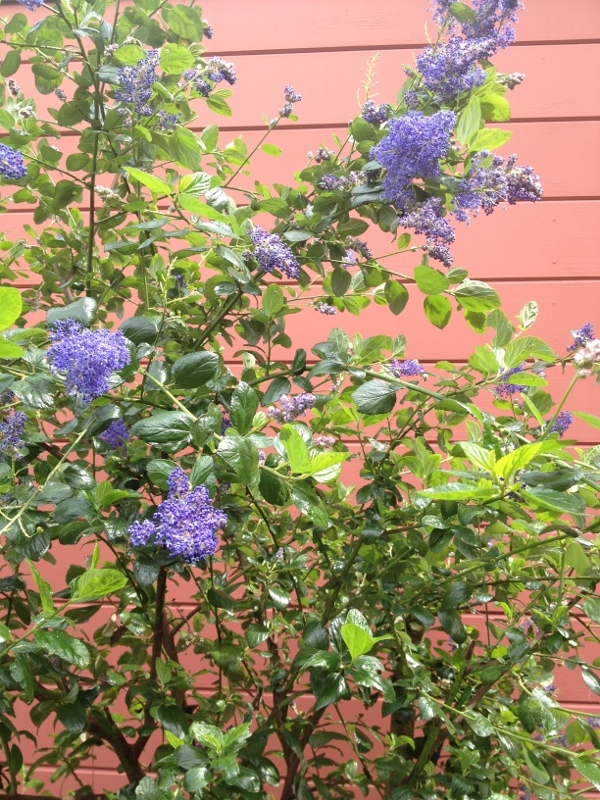 The dark periwinkle of this Ceanothus — one of California’s premier native plant genuses — is all the more striking against a pink-red wall. 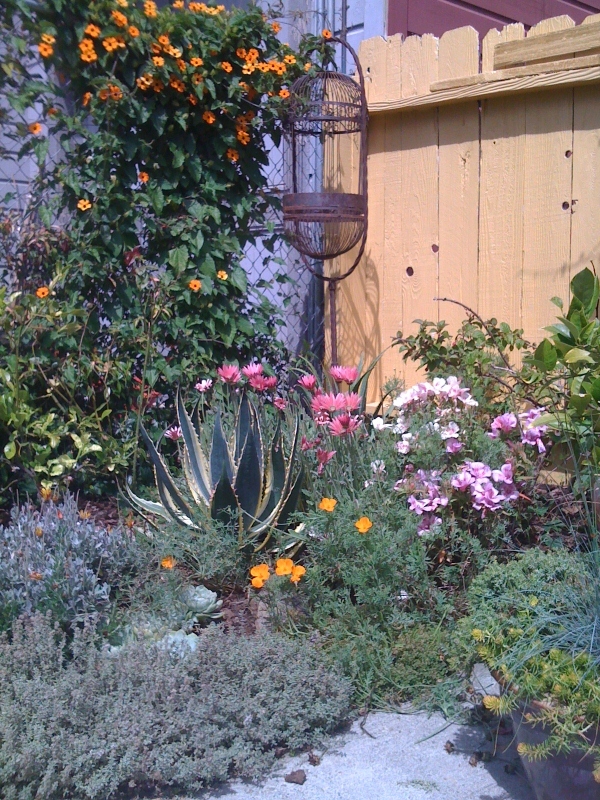 In the back garden of Dynamo Donuts, painting the fence a muted yellow allows pink and orange blossoms to stand out in the foreground, while also subtly tying in the yellow edge of the sword-like agave leaves.